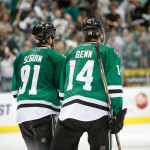 Antti Niemi has signed a three-year contract with the Dallas Stars worth an average annual value of $4.5 million. 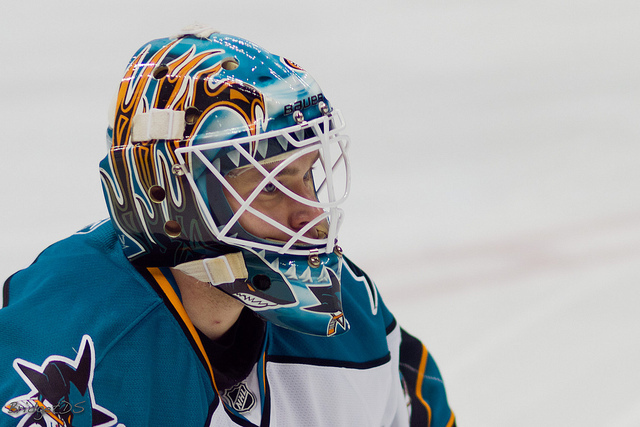 Niemi was acquired from the Sharks for a seventh-round draft pick. He posted a 31-23-7 record to go with a .914 save percentage and a 2.59 goals-against average in 61 games with San Jose last season. 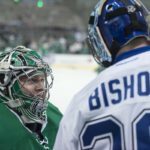 The Dallas Stars now have two number one goalies under contract, Kari Lehtonen Is slated to make $6 million next season. That’s $10.4 million committed to two goalies. 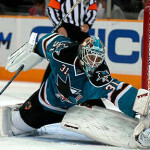 Niemi’s career numbers are: 338 career NHL games with the Sharks and Chicago Blackhawks, posting a 190-100-40 record with a .916 save percentage and a 2.39 GAA. A pretty steady performer, who you can bet wants to be a starter. 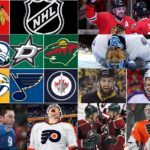 Niemi was the starting netminder for the Blackhawks 2010 Stanley Cup-winning team but was let go by the team when it walked away from his $2.75 million salary arbitration award. 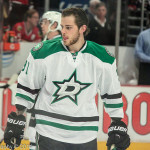 He instead signed a one-year deal with the Sharks for 2010-11 and extended his deal with the Sharks for the following four seasons at an average annual value of $3.8 million.